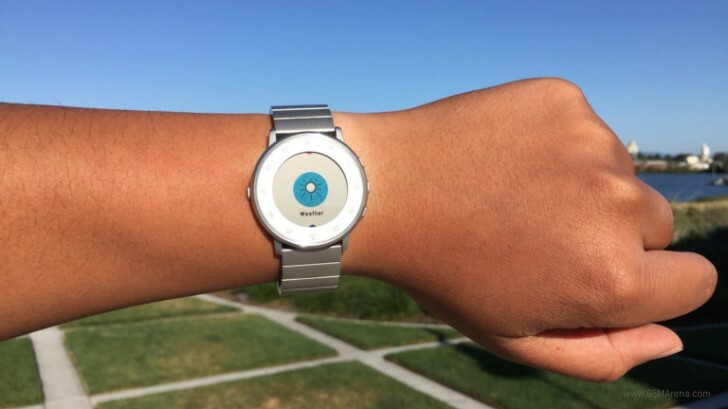 Today Pebble has announced the latest software update for its existing smartwatches. Version 3.13 brings with it a dedicated weather app, improvements to Pebble Health, and the fire emoji. While that last one is self-explanatory, let's dive into the others a bit. The new weather app is powered by The Weather Channel and it shows you the current temperature and conditions, highs and lows for the day, as well as the next day's forecast. Its settings are managed through the Apps tab of the Pebble mobile app for Android or iOS. Pebble watches should now be better at counting your steps and tracking your sleep, thanks to improvements the company has made to the respective algorithms. Pebble Health is also smarter about interpreting movements while you sleep, and specifically not counting those as steps. This update is only going out to Pebble Time series watches, while the Pebble Classic line will stay on 3.12.1 at the moment. If you have a Pebble Time device and want the new features described above, keep in mind that you first need to update the Pebble for iOS or Android app to the latest version.